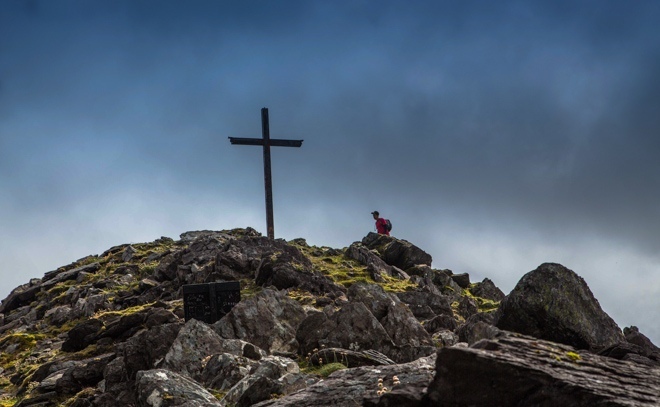 Residents of Killarney are fortunate to wake up each morning to the impressive sight of the McGillycuddy Reeks, the highest mountain range in Ireland. 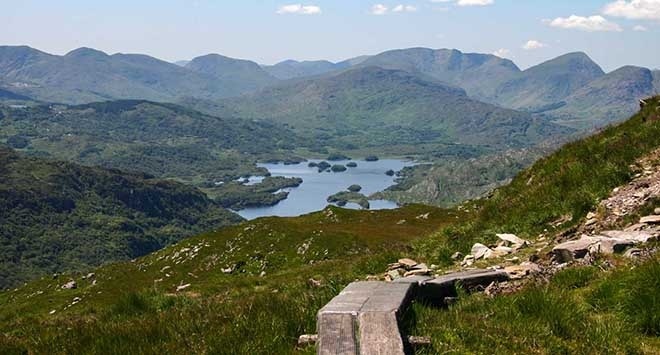 This grand mountain range looms over the whole town, with the Lakes of Killarney creating the backdrop for our world-famous scenery. Not only can we enjoy the splendid views, but mountain climbers and hikers will revel in the choice of hikes and climbs available. 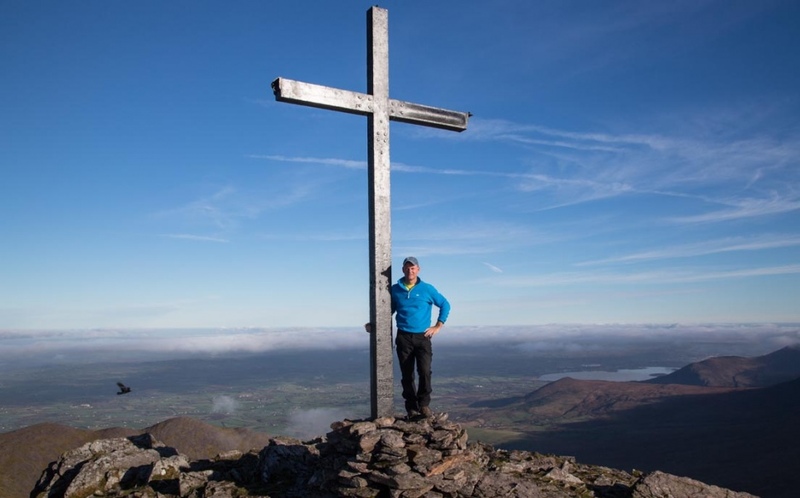 There are hikes and climbs for every grade offering amazing views and sights across the county of Kerry and at the end of a long, but rewarding day out on the mountains, the hotels outdoor lakeside hot tub awaits you to help soothe and ease those aching muscles. The Mountain you see from the Lake Hotel directly behind the Castle is Torc Mountain, its a handy climb for one of the best views from any Mountain in Ireland. Taking the trails on the back of the Mountain which is laid with old railway sleepers, you can see the Upper lake in Killarney. 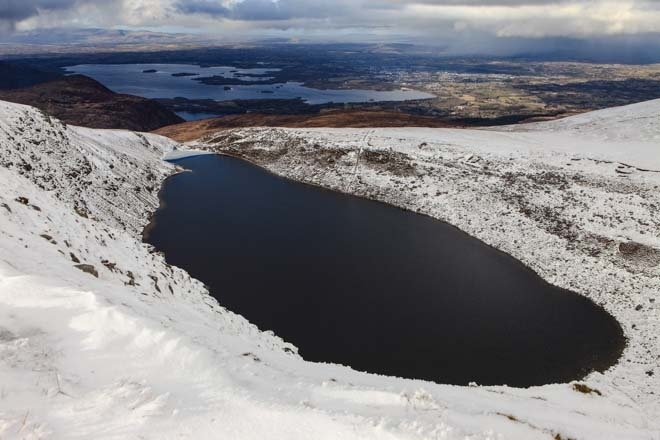 At the top you can see all three lakes, Lough Guitane and even the mountains in Dingle. There is a good view of the Killarney National park, Castles and Abbey's and not forgetting the Lake Hotel across the Lower lake. Duration 1 hour to the top of a safe trail. We are happy to provide local maps and routes for climbing or hiking groups and guests. Packed and picnic lunches can be organized for small or large groups with advance notice. Information on guides, guided hikes, climbs and walking equipment hire is available from hotel Reception. Preferential group rates are available to climbing and hiking groups staying at The Lake Hotel. 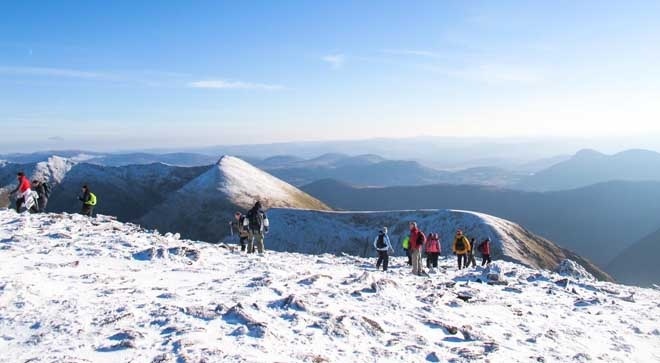 We recommend these Guides to make sure you have the best day ever in the Mountains. Torc mountain Trails in Killarney.